Dr Jill Orford performs professional circumcisions in a hospital operating theatre, ensuring that the very highest medical standards are adhered to throughout the whole process. If you would like your son to be circumcised but you want to ensure it is a painless procedure, carried out by fully trained and experienced medical professionals in the best environment possible, Dr Orford’s Perth circumcision clinic is the right choice for you and your child. 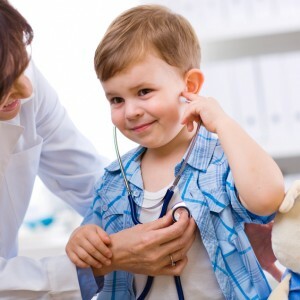 All operations are performed under a general anaesthetic and because Dr Jill is a fully qualified paediatric surgeon who has carried out many circumcisions during her time in practice, you know that your child will receive the highest level of medical care throughout the procedure. We perform circumcisions on infants who are 6 months or older, because for babies younger than this, general anaesthesia is not recommended for elective surgery. By using a general anaesthetic, the operation can be carried out in a carefully controlled environment, ensuring that the surgeon is able to focus fully on the procedure (while the ‘quick snip’ for newborn babies is still popular in some areas, it is carried out in a less controlled environment). If you have any questions about the best time to have the operation performed, please do not hesitate to call during surgery hours and we will be more than happy to answer them. We aim to ensure that parents who contact us regarding this procedure are provided with all the information they need to make the right decision for their children. Due to the fact that many circumcision clinics do not perform the procedure in a hospital theatre under general anaesthetic, we often receive enquiries from concerned parents who live quite some distance from our clinic. We would like to reassure you that whether you live right here in the city, somewhere a little further afield in WA, or in another state completely, we will make it as easy as possible for you to arrange a circumcision in Perth for your son. We understand the concerns of loving parents and Dr Jill, as a highly experienced paediatric surgeon, is pleased to be able to help families in all parts of the country who are in need of her services. If you would like our assistance when planning your trip to the city, call and speak to a member of our team whenever convenient: we would be delighted to help you make all the necessary arrangements if you are having any difficulties. Circumcision is a routine procedure that is carried out on millions of infants across the world every single year. However, when it is your own child that is going to have the operation, it is understandable that you may be worried and desire to have your mind put at rest before going ahead with the procedure. If this is the case, you should feel free to call or email for further information at any time.